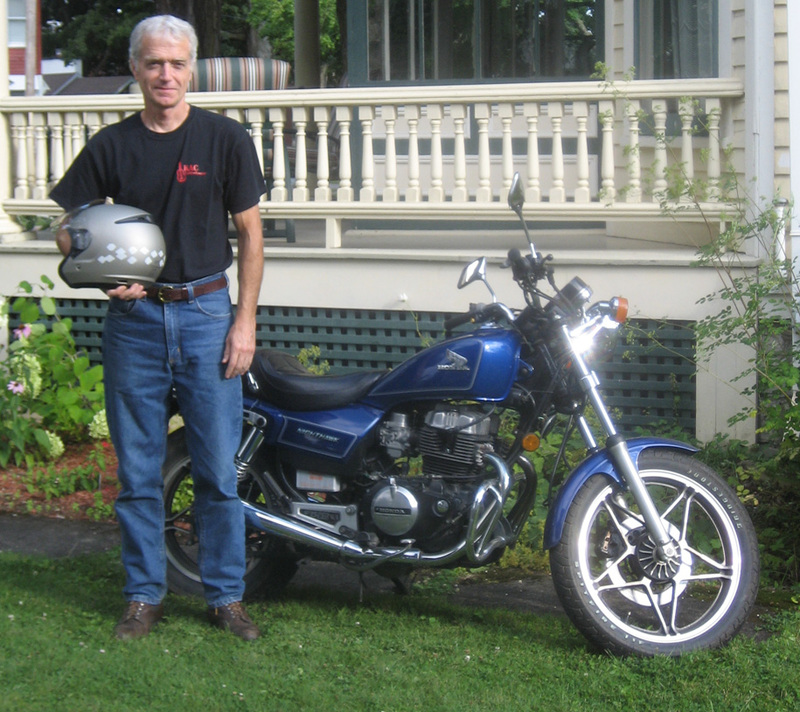 "Here's a photo of me and my Honda 450. I tried to sell it this summer, so wanted to keep a picture. Did you know you're 37 times more likely to get killed riding a motorcycle than driving a car? I figure I can ride about 300 miles a year without increasing my risk." A 100 year old village home and a 50 year old Adirondack camp give me plenty of excuses not to go anywhere. A member of the Snow Ridge ski patrol since 2003. Sing and play guitar in the folk choir at St. Peters in Lowville.